This weeks entry comes from A Coin in Nine Hands by Marguerite Yourcenar. Love can't be bought. Women who sell themselves to men, after all, only rent themselves out; but dreams can be bought; these intangible goods are sold in many forms. The little money Paolo Farina gave Lina each week was used to create for him a welcome illusion; that is to say, perhaps the only thing in the world that does not deceive. Gyorgy is an outsider in several senses. The week before he leaves home his Father is sent away to a "labor camp". When Gyorgy arrives at the concentration camp to which he has been transported he has to claim to be sixteen when he was not, surviving by being one of a small number of youths among many older prisoners. He was not from a particularly religious family, and knew neither Yiddish nor Hebrew. So, while he wore the obligatory yellow star, fellow Jewish prisoners looked down on him because he only spoke Hungarian, again he was an outsider and felt as though he did not fit in, but took it all in stride with faith that things would work out. His narrative underscores the feeling of being an outsider by a focus on the his individual interaction with the camp with little mention of specific interpersonal connections. The one exception, his friend Bandi Citrom, is the only boy whose name we learn. The author uses his young narrator's lack of knowledge about his surroundings to maintain a distance from his new world. It is a distance that also constrains Gyorgy's connection with other individuals he meets in the camp who, when referred to at all, are given generic nicknames like "traveller", "fancy-man", and "the Gypsy". It is only Bandi that we learn anything about and it is about him that Gyorgy says: "all these things, and much else besides, all of it knowledge essential to prison life, I was taught by Bandi Citrom, learning by watching and myself striving to emulate." The horror of the story is in the way Gyorgy describes his slow descent into a shadow of his former self as his body becomes a living ghost. It is his striving, which ebbs lower and lower, that keeps him going. This is a difficult book to read in its unrelenting presentation of an extreme experience of degradation of an individual. Like others who have shared similar experiences Kertesz connects with the reader on a very human level sharing the story of an ordinary young man whose experience was extraordinary. Lytton Strachey is best remembered as a biographer from his famous Eminent Victorians to his lives of Victoria and Elizabeth I. His letters, however, depict better the breadth of the man's life whether it be philosophical interchanges with G. E. Moore and Bertrand Russell, friendly confidences shared with fellow members of the Bloomsbury set, or love letters launched to various partners including Carrington and Duncan Grant. The book is a delight to open at random and read mementos from his life at most any point because he was always corresponding with such thoughtful and interesting people. The editor, Paul Levy, includes helpful notations about the details of events and people when necessary for context making the collection even more enjoyable. It is Strachey's passion for literature and life that impresses me the most as when he wrote to G. E. Moore in October, 1903 upon reading Principia Ethica, which had been published the previous week, saying: "Your grand conclusion made me gasp -- it was so violently definite. "(p 17) For those readers interested in literary activity in England and the Bloomsbury circle this is a useful volume. As one advances in life, one realizes more and more that the majority of men - and of women - are incapable of any other effort than that strictly imposed on them as a reaction to external compulsion. And for that reason, the few individuals we have come across who are capable of a spontaneous and joyous effort stand out isolated, monumentalized, so to speak, in our experience. These are the select men, the nobles, the only ones who are active and not merely reactive, for whom life is a perpetual striving, an incessant course of training. In my reading of The Revolt of the Masses I would emphasize Ortega y Gasset's discussion of the new world (circa 1930) as one of "practically limitless possibilities". (p 61) This is a view that he contrasts with the past where the masses felt themselves limited, and rightly so. If anything, eighty years after the first publication of this book there are even larger groups of people that have the possibility of fewer limits on the progress of their lives. However he does not see any guarantee that progress will be the result and later in his book he discusses the danger of the modern state as a limiting factor. Even in western democracies we have seen the power of the state grow over the past eighty years since Ortega y Gasset's observations. I wonder if the nobility within mankind will be able to continue to move forward and not be limited by the masses of average men. On Monday morning, this weeks entry comes from The Time of Our Lives by Mortimer J. Adler. 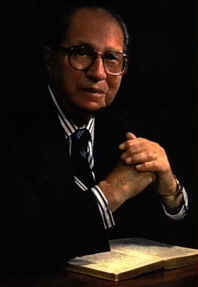 The Time of Our Lives by Mortimer J. Adler. Holt, Rinehart and Winston, New York. 1970. Welcome to this week's Literary Blog Hop as usual hosted by the ladies from The Blue Bookcase!. The question for this hop has been sent in by Mel u from, The Reading Life -"Not long ago I read and posted on The Harp of Burma by Michio Takeyama, 1966. It is one of the very best novels about WWII, written from the point of view of a Japanese Buddhist who was drafted as a combat soldier. He had no idea how long he would be gone or if he would really ever return. He had room in his backpack for one book, so he took The Red and the Black by Stendhal. He carried it through the jungles of South Asia for 4 years. He said it helped keep him sane in the face of all the horrors he saw. This made me wonder what work of literary fiction I would take with me under similar circumstances." My choice would be the Meditations of Marcus Aurelius. Having just reread this inspirational book I believe that it would be a good companion as I went off to war for several reasons. First, Marcus wrote the Meditations during the last decade of his life when he spent most of his time at war on the German frontier. Second, the original title of the book was literally "Thoughts to myself" and in writing these thoughts Marcus provided a unique narrative raising issues of philosophy and more particularly how one should practice philosophy in living his life. In doing this we find thoughts about the nature of the world, the question of the role of fate in one's life and how one can reasonable face the inevitability of one's own death. Third, Marcus raises these questions and generally espouses a philosophic viewpoint that is known as stoicism. A central principle of this view is that one should focus on those things that one has control over and not be affected by those things that one cannot control. This book is repetitious but this serves to reinforce the process of reasoning about your place in the universe. Within this reasoning and many aphoristic comments it contains enough philosophizing to keep your mind occupied even as the bombs may be loudly crashing in the background. 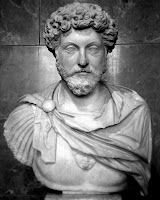 Marcus Aurelius perhaps came the closest to being a "Philosopher-King" in the Platonic sense and as such he had a special perspective that allowed him to think about philosophy even as he avoided creating a traditional philosophic treatise. There are several good modern translations that make this book accessible for the general reader. I know I have found it to be inspirational in my normal life and think it would be a good companion for any extreme situation in which I might find myself. This second volume of The Transylvanian Trilogy is an historical novel with romance at its core. 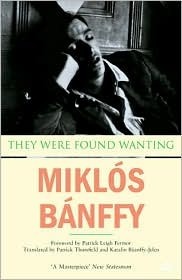 As Patrick Leigh Fermor, the famous travel writer, said: "Banffy is a born story-teller." But the story is merely the starting point for Banffy's extended romance of family, class and political relationships which mirrors the on-going upheaval in Hungarian society as it existed before the Great War. Banffy's novel compares favorably with epics like War and Peace and great family tales like The Forsyte Saga. I appreciated the breadth of his literary and cultural references, for this is a story about a class that is as familiar with Chopin, Goethe and Schopenhauer as they are with the boudoir and the bazaar. The contrast of the power and beauty of nature, descriptions of the lands and forests surrounding the magnificent castles, punctuated with scenes of hunting and brilliant bazaars, thrilled me as a reader. There is also the melancholic momentum of the inevitable decline that seems at times a veritable attribute of the Hungarian psyche. The trilogy is one of the least well-known novels of Eastern Europe at the end of an era limned by Barbara Tuchman with the title of her history, "The Proud Tower". Nothing whatever, except one man's desire to know that kind of experience to the full, to be by himself for a while and to taste peace and quiet and solitude long enough to find out how good they really are. 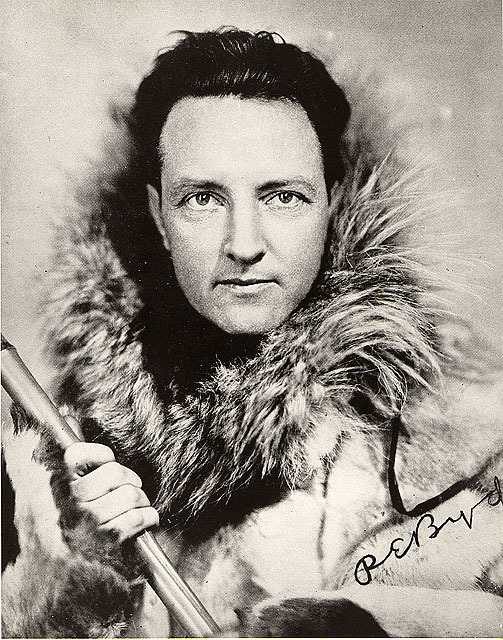 Alone by Richard E. Byrd. The Adventure Library, 1996 (1938). I was fortunate to have experienced the lectures of this great teacher and classicist. 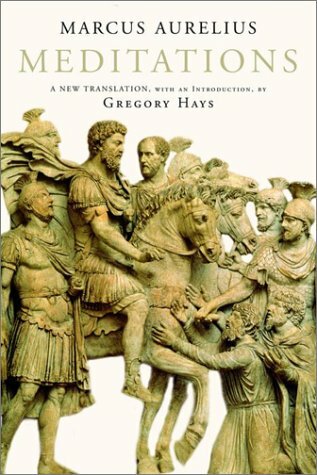 I first encountered his translations of ancient Greek dramas when I was in college. He had already been teaching at the University of Chicago since before I was born. This memoir is a personal account of his life with an emphasis on education, but farming as well. I was taught, or at least led in classes at the Basic Program of Liberal Education of The University of Chicago, by instructors who were taught by David Grene and his spirit lives on in their work and teaching. This memoir demonstrates that genial spirit of love of life and learning. A spirit that David Grene exuded with every word and breath in his lectures and classes and life. My first reaction to this question was to begin a catalogue, in my mind, of the possibilities which are undoubtedly endless: for the combinations of time, place, and distance are limited only by my imagination if not by my reading, which fortunately is finite but ongoing. So, ruling out imagined places which will no doubt appear in future reading my first choice was to go back to the early days of my reading and choose a place that I have visited again and again over the years -- it must be one of my favorites. That is the world of Through the Looking Glass by Lewis Carroll. This sequel to his famous Adventures of Alice in Wonderland (another place high on my list) is a world that is worthy of subsequent magical imagists like Borges, who was also very good at creating imaginary worlds. In my visit I would of course want to travel with the always inquisitive Alice, encountering a world of things that could be seen through the glass and are thus merely reversed. This being the first stage in a natural progression in the evolution of higher understanding. The reader restrains rather than indulges his appetites. He enhances his consciousness at the expense of his daily awareness. What fun! Thought of such a visit brings to mind favorite moments playing chess, but none so wonderful as Alice's journey and encounters with wild characters including Queens. 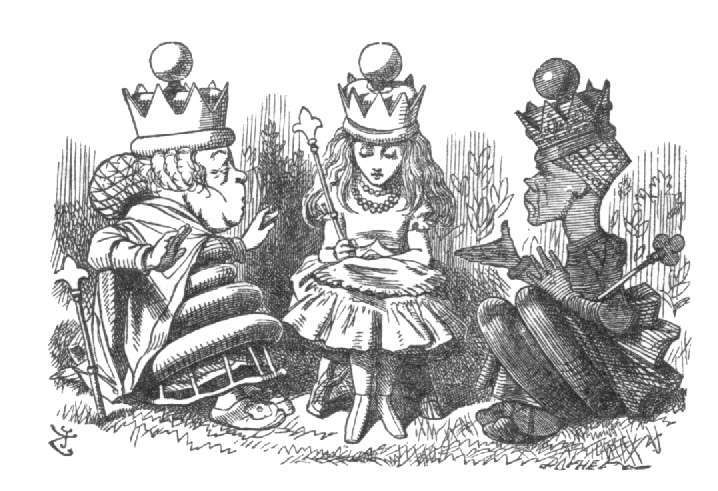 I often feel that is as hard to make progress as felt by Alice when confronted by the speed of the Red Queen - I must run faster. 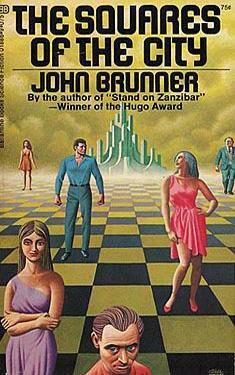 If I tire of this visit I might continue my chess journey into the future world of John Brunner described in his Squares of the City: "Built in the heart of the jungle, The City was an architect's masterpiece -- the scene of a flesh and blood game of chess where the unwitting pawns were real people!" This sociological story of urban class warfare and political intrigue, takes place in the fictional South American capital city of Vados. In this world subliminal messages are used as political tools. The story is most notable for having the structure of the famous 1892 chess game between Wilhelm Steinitz and Mikhail Chigorin. A far distance from the whirlwind of Carroll's mirrored universe, but it sounds quite exciting. If I survived these visits I might appreciate even more the comfort of my favorite reading chair where, under the brightness of my reading lamp, I could journey through place and time in the safety of my own home. An historical novel reconstructs the past such that a personage or series of events is recreated in fictional form. The spirit of the age should both be respected and presented in a way that instructs and entertains the reader. Wolf Hall by Hilary Mantel focuses on the personage of Thomas Cromwell while attempting to both present the details of his personal life and present the historical controversies of the age of Henry VIII. I was unconvinced by the attempt. While the historical narrative flowed and provided a balance of detail and overview, the family sagas of Thomas and his friends and enemies (notably Sir Thomas More) were byzantine and the details overwhelmed this reader. The age presented was one of tumultuous events with the devious plans of Cardinal Wolsey as representative of the Crown to abet Henry's search for a suitable successor atop epiphenomena whose undercurrent threatened to pull down any of the main players at almost any time. The addition of references to the impact of the plague and the difficulties of life in general for the families included in this saga began to go beyond the bounds of Rabelaisian amusement and wonder. I found myself questioning how it all came together. Lest I forget the best of the novel, for Mantel kept me reading with her sure clear prose style and there were moments, even when the personal family relations were being narrated were fine stuff -- the historical interludes made it bearable. I am a reader who likes to develop a sense of the whole project of a novel and this one defied my attempt. The best parts suggest to me that at least part of my difficulty with the book must my own responsibility. I would recommend The Leopard by Giuseppe Tomasi di Lampedusa to anyone as an example of the finest in historical novels. My fond memories of growing up in Wisconsin create a warm place in my heart for A Son of the Middle Border, a memoir about growing up on the mid-western frontier by Hamlin Garland. In it he captures the essence of the place and time that was already a memory during my boyhood. He does this through advocacy of a form of realism that blended the realist's insistence upon verisimilitude of detail with the impressionist's tendency to paint objects as they appear to his individual eye. He uses local color in his work giving it a quality of texture and background that it could not have been written in any other place or by any one less than a native. Garland distinguishes between local color that is added on from that which comes from the writer's experience: "local color must not be put in for the sake of local color. It must go in, it will go in, because the writer naturally carries it with him half unconsciously, or conscious only of its significance, its interest to him" (CI 54). So Garland's perspective is, like that of many realists, that one writes of what one knows. The veritist differed from the realist, Garland claimed, in his insistence upon the centrality of the artist's individual vision: the artist should paint life as he sees it. In doing this he brings his world alive for the reader. 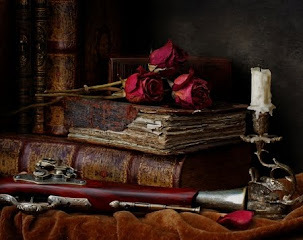 I think this depiction of a region's characters, customs, and textures of life creates an interesting read even for those who do not share a personal connection with the beauty of Midwestern life. Whenever I listen to a recording or hear a live performance, as I did this past weekend, of Dimitri Shostakovich's Symphony No. 5 in D Minor, op. 47 I am reminded of my days in Madison, Wisconsin when I was a student at the University. Many Saturday mornings I would walk to the Madison Public Library and partake of their music listening room. It was on one of those Saturday mornings that I sat down with score in hand to listen to this amazing Symphony. I did not know the history of the music nor much about the biography of the composer, but the music spoke to me and told a story that brought me to tears with its beauty and emotional power. Years later I find the power of this music to move me has not diminished and, when performed by musicians the caliber of the Chicago Symphony Orchestra led by Leonard Slatkin, it still moves me with the same power and beauty. The story behind the music, of the terror of Stalin's purges that put fear in the minds of many Russians including Shostakovich, provides context but does not change the personal message that the artist sends directly to each individual listener. That message is in the clarity of form and brilliance of orchestration, the contrast from the tragic depths at moments in the opening movement to the heights of brilliant exhaltation in the finale. Whether the humor of the Allegretto is merely satirical or perhaps, considering Shostakovich's whole oeuvre, more a classical attempt to create balance in the work of art; and, if the brilliance of the finale is ironic in tone, what is important is the totality of the experience of this music as an affirmation of humanity by one man -- a musician and a hero. Thus Hamlet answered Polonius' question as to what he was reading. Our reading can range from the sublimity of Beckett's arid yet vivid prose to the Rabelaisian abundance of words, bordering on the ridiculous, that one finds in books like Infinite Jest. In The Lexicographer's Dilemma, an all too short book considering the subject, Jack Lynch attempts an history of the English language - a history of words. His focus is on what is considered "proper" English and who gets to say what words are in or out. He discusses the rules that have been developed over the years and investigates their history. In doing so he discovers that behind every word is a human shadow in the form of a story about people who shaped our language. In the realm of dictionaries the most influential person chronicled is James A. H. Murray, but Samuel Johnson and Noah Webster also have leading roles. 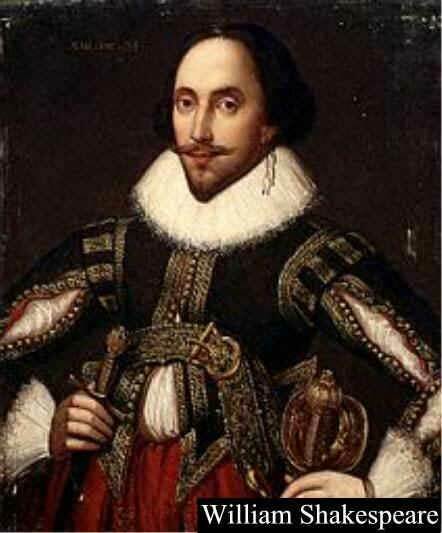 Many others including scientists like Joseph Priestley, poets like John Dryden, dramatists such as Shakespeare and George Bernard Shaw and many others all have a contribute to this history. I found the journey through history enjoyable primarily because I am an omnivorous reader who would respond to Polonius' question just as Hamlet did with the response -- Words, words, words. Rilke was a poet and his only novel demonstrates that on every page. It is a dreamlike novel that is evocative of Paris and poetry. The focus on themes of death and darkness in contrast with the power of god and belief were powerful, joining with his beautiful writing to keep me enthralled. The importance of constructing an authentic life is emphasized as a prerequisite for the prospect of a unique personal death. Death becomes a character in the novel, a "terrible rival", which may seem stronger than the living in its tolling. While Paris is the city of poetry it is also described as a place "to die in"(p 3). More importantly this is an early contribution to the literature of existentialism and bears reading and comparison with Kierkegaard, Gide and Camus. In some respects Rilke appears to be a harbinger of such thinkers as Heidegger and Benjamin with his portents of the looming growth of a modern industrial society. Just as Dostoevsky before him Rilke paints a picture of a world that is being threatened by science and technology. But, you do not have to fixate or even focus on these trends in order to enjoy this novel, you merely need to relax and enjoy the poetic way Rilke serves up the prose in this haunting story. The Notebooks of Malte Laurids Brigge by Rainer Maria Rilke. Vintage Books, New York. 1990 (1910). Nostalgia and sentimentality are woven together beautifully in this brief memoir by Truman Capote. Written in the mid-fifties before the peak of his acclaim and subsequent dissolution, this is a touching story of friendship and the memories of youth. In a simpler time and place the young Capote shares the essence of Christmas with his elder cousin. The story is a prime example of what William L. Nance in The Worlds of Truman Capote calls Capote's ''fiction of nostalgia," in which the author looks back fondly upon his Southern childhood. These stories border on bathos yet in doing so evoke a gentle and distant childhood uncorrupted by the complications of adulthood. The narrator of the story tells the reader to ''imagine a morning in late November" more than twenty years ago. With this beginning we are once again taken to that place where Capote in his typical habile style demonstrates his ability to create a world that is at once uniquely his own yet can speak to readers from far different climes and times. This is a moving memoir for those willing to believe. I will never forget the first time that I discovered the Modern Library editions. Growing up in a small town in southern Wisconsin we would only rarely venture to downtown Milwaukee for shopping. It was on one of those rare trips that I found a shelf squirreled away in the book department of Gimbels department store with these relatively inexpensive, for hardcover books, editions of Dostoevsky, Faulkner, Hawthorne and others. It is that occasion that I am reminded of by the delightful biography of Horace Liveright by Tom Dardis. Near the beginning of his story and at the beginning of Liveright's publishing career is the founding of The Modern Library, started with his partnership with Albert Boni who had earlier founded "The Little Leather Library". 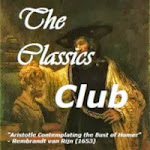 With a beginning list of authors including Wilde, Kipling, Stevenson, Wells, Dostoevsky and Schopenhauer, they founded what would become a favorite of readers to this day. By the time I discovered the Modern Library it was the property of Random House, thanks to Bennett Cerf, but it was established due to the vision of Horace Liveright. It is this vision that also brought out the first works of Hemingway, Faulkner, O'Neill, cummings, Djuna Barnes and Hart Crane. But the story is also a sad one as Liveright was more visionary than businessman. In spite of publishing successes from authors like Theodore Dreiser, he spent wildly on unsuccessful ventures including Broadway plays and novels that no one wanted leading to the sale of the Modern Library and a brief sojourn in Hollywood at the end of his career. From Wall Street to Hollywood he was the consummate salesman and he revolutionized American book publishing along the way. His story is exciting for this reader who as a young boy had his reading horizons expanded by titles from the Modern Library. Firebrand: The Life of Horace Liveright by Tom Dardis. Random House, New York. 1995. "Talent means energy and persistence and nothing more." Inspired by my Latin teacher in high school I read this exciting story of Heinrich Schliemann's search for the real city of Troy. She was married to an archaeologist and they would spend summers in Central America. While learning Latin I was also learning about the Greek culture that so heavily influenced Rome. In doing so I was led inexorably to this exciting story of the man who believed that Homer's Troy was a real place. Schliemann was vindicated and Robert Payne's book tells about his incredible journey in search of his dream. The Gold of Troy by Robert Payne. Funk & Wagnalls, New York. 1959. I believe each reader has his own story about the books that have been important in his life. This book is Pat Conroy's story and as a writer of several successful novels and memoirs he has created a beautiful paean to those books that influenced his life and writing. And with the books his memoir includes the people who recommended them and encouraged him who are featured beginning with his mother. The most poignant story for me was that of Gene, his high school English teacher, whose encouragement and inspiration lasted beyond high school as they became lifelong friends. Conroy's reading was wide and deep with an emphasis on some of the best authors and many of my own favorites. His love of libraries and book shops is something that this reader could identify with and, although I have not traveled to Paris his chapter on the importance of that city for him was perhaps even more interesting as a result. His love of poetry has become his own catalyst for unleashing the words that his love of reading has provided as a storehouse for his own writing. After many years of that writing this memoir is the result -- a lyrical delight from beginning to end and evidence of a love of reading and words that reminded me why I too love books. The sun was just rising as I finished putting the final touches on my attempt to clean our front sidewalk of snow early this morning. It was rather whitish stuff that had frozen under the incessant trampling of many footsteps into a slate-like cover over the concrete that is our front sidewalk and as I laid down a layer of salt I thought back to my youth in southern Wisconsin. 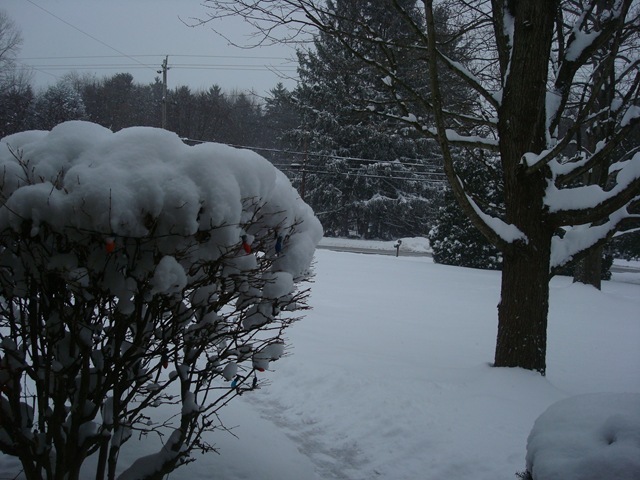 My thoughts were not of the wintry whiteness that we enjoyed but of summertime and the feelings of futility and, perhaps, a bit of resentment over the perfect lawn of our neighbors across the street. They had a well-maintained bungalow and a small front lawn that was always kept in pristine, if not perfect, order. While I struggled with our much larger lawn that stretched over the equivalent of at least three city lots my neighbor's yard was always laying there, in its crisp weed-free form, mocking all my feeble attempts to keep our lawn under control. Forget about eliminating weeds -- as long as the ground was covered with green it did not matter what the source of that greenery was. Did I mention that my neighbor was retired? Thus he had most every day available to touch-up his lawn and make sure it was just right. So, the battle was lost before it had begun and the perfect image of that lawn has grown in my mind into a memory that augments the lingering disgust I have for even the idea of mowing and trimming a lawn. "Love. Of course, love. Flames for a year, ashes for thirty." The Leopard, 1958, (filmed in 1963), is sometimes compared to Margaret Mitchell's Gone with the Wind. It drew on the author's family history and described the reactions of a noble family to the social and political landscape following Sicily's appropriation by Garibaldi in 1860. Lampedusa published nothing during his lifetime except for three articles that appeared in an obscure Genoese periodical in the 1920s. This is one of the best historical novels that I have ever read (and reread). It reads like an epic and the family story is told in beautiful prose. 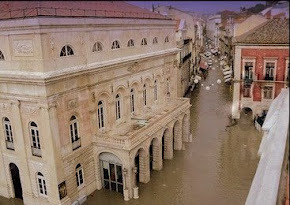 Lampedusa never strikes a wrong note and creates, in the patriarch of the family, Don Fabrizio the Sicilian prince, one of the great tragic figures in literature. The novel successfully depicts the end of his world and the beginning of modern Italy. Definitely must be read by anyone interested in historical literary fiction. The Pure Lover is a beautiful and profluent portrait - memoir of a life and living together. David Plante first met Nikos in London while he was still an aspiring young American writer. Nikos was a Greek poet, intellectual and survivor of the war. It was 1965 and a life together was about to begin. In his memoir Plante uses fragments of their life together to create a mosaic of what was a beautiful duumvirate. A short book of fleeting flinders, it is told with piquant prose about time together and time past. while our eyes fill with tears." As in the final stanza of this poem, titled simply Joy, Mueller's poetry shimmers with the beauty of music and humanity. Her life seemingly translated word by word onto the paper that brings forth the poems.